How do you turn an eyesore into a work of art? If you are CBG Building Company, you approach kids and give them the tools to do it. CBG was constructing an apartment community in Arlington, Virginia. Because of the project, CBG needed to build one of those plywood covered walkways to protect pedestrians, which is not always a welcome addition to a neighborhood. 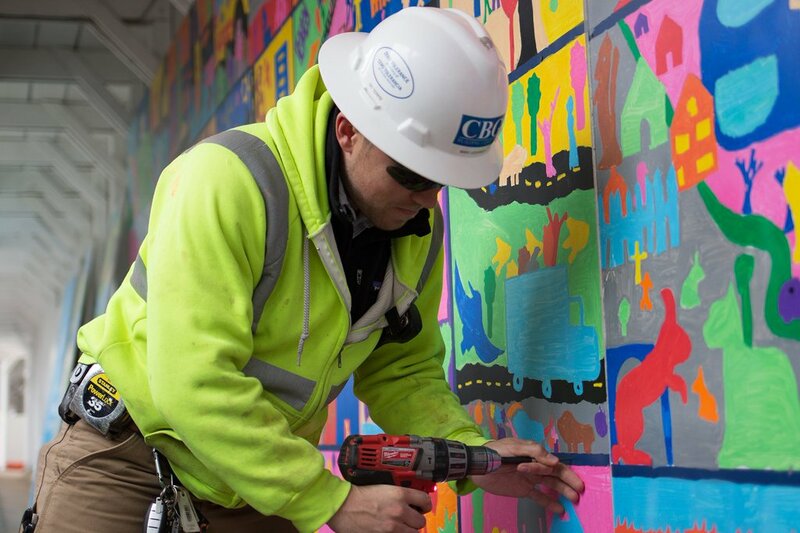 To make the best of the situation, the company collaborated with art teachers and students at two nearby elementary school to create a public arts project that would also increase CBG brand awareness. The result was an eye-catching collage of colors and paintings from the imaginations of children.